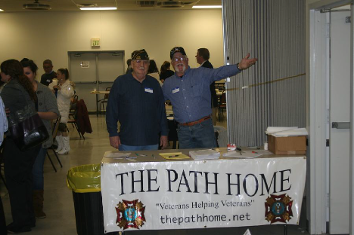 The Path Home holds an annual Job Fair for Veterans and the community. We were able to be the conduit between the employer and the employee to help get our country back to work. Because of this connection we are able to help veterans and their families find employment through out the year. 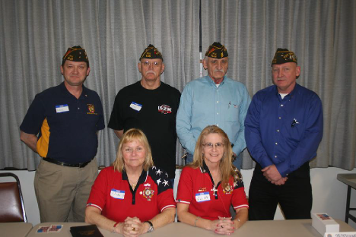 Sat Mar 03, 2012, 02:40 PM ESTThe alliance between the VFW Post 6128, the Brownsburg American Legion Post 331, and The Path Home initiative saw significant success today. So much so, that Frank Parks of the VFW smiled and acknowledged the obvious for later this year. Scores of veterans, community members, and employers turned out for the first event of its kind, aimed at getting good jobs for those out of work or under employed, especially when it comes to veterans. “Our veterans have a lot of discipline, training, and they know how to work as a team,” said Parks. Food was donated by Saldana Racing Products for the event as well. “We’re extremely pleased with how many people have shown up. I got a lot of calls after the original article in the paper from employers asking about being part of it. When we opened up, you couldn’t even get a parking space it was so full,” said Bob Luenebrink of the VFW. Patrons of the event were able to learn more about various companies, drop off resumes, and sell themselves directly to people who are hiring. Among some of the popular booths at the fair were the Hendricks County Sheriff’s Department and the Home Depot. Ed Edwards (left) and Ric Buckley (right) of The Path Home greeted job fair attendees joyfully as they walked in the doors. 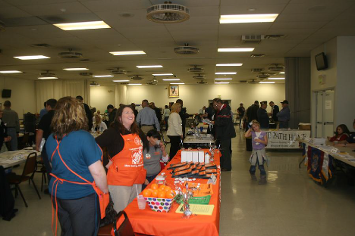 The Home Depot was one of employers who were present at the Path Home Job Fair this weekend at the Brownsburg American Legion Post 331. 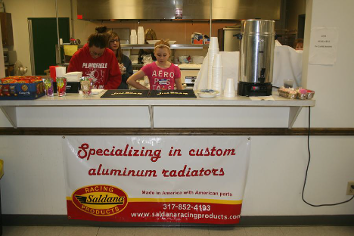 Saldana Racing Products donated food for the event for all patrons of the event. 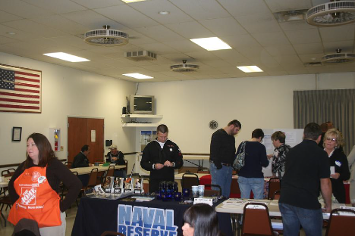 Members of the VFW and VFW Ladies’ Auxiliary were pleased with the Job Fair’s turnout. Back row from left to right: Dave Palmer, Dan Raber, Frank Parks, and Bob Luenebrink. Bottom row from left to right: 2011-2012 President of Ladies’ Auxiliary, Linda Osborn and Jr. Vice of Ladies' Auxiliary & Executive Assistant of The Path Home, Anita Cox.